Jean-Baptiste Guillaume Marie Anne Séraphin Joseph de Villèle was born in Toulouse, France on April 14, 1773, the oldest son of Louis-François-Joseph de Villèle and Anne-Louise de Blanc de la Guizardie. Pushed into a naval career by his father, Villèle entered the royal naval college at Alès at the age of 15. He became an officer in the French navy and was serving in Saint-Domingue at the time of the French Revolution. After a stint fighting the British off the coast of India in 1792, he wound up on Île Bourbon (now Réunion), in the Indian Ocean. As a suspected royalist, Villèle was arrested and imprisoned for several months in 1794. After his release, he turned to agriculture. On April 13, 1799, he married Barbe Mélanie Ombeline Panon Desbassayns, the daughter of one of the island’s wealthiest planters. They went on to have five children: Louis (born in 1800), Louise (1804), Pauline Henriette (1805, died in infancy), Henriette (1811), and Joséphine (1814). Rose de Freycinet encountered the family in July 1818, during her journey around the world. Villèle received an excellent apprenticeship in politics as a member, and then president, of the colonial assembly that governed Île Bourbon. A 1794 decree from Paris abolishing slavery in the French colonies did not go over well with local planters. Some pushed for independence from France. Villèle defended the attachment to France, but refused to apply the decree. When it appeared that Napoleon as First Consul was going to continue the anti-slavery policy, the colonists wrote to him directly. Napoleon re-established slavery in the colonies (see my post about Napoleon’s view of slavery). In 1807, Villèle returned to France with his wife and children, having amassed a small fortune. Taking up residence on his father’s property, he was elected mayor of the village of Mourvilles, south of Toulouse, and became a member of the council of the Haute-Garonne. He also joined Les Chevaliers de la Foi (the Knights of the Faith), a Mason-like organization opposed to the French Revolution and Napoleon’s Empire. Operating in secret, Les Chevaliers (also known as La Congrégation) aimed to return the Bourbons to power and re-establish the ancien régime. In 1814 Villèle participated in a royalist insurrection in Toulouse. After Napoleon’s defeat, Villèle was appointed mayor of Toulouse. He also became a representative for Haute-Garonne in the Chamber of Deputies, where he sat as an ultra-royalist, aligned with the Count of Artois, as opposed to the more moderate royalists aligned with King Louis XVIII. Villèle published an article that criticized Louis XVIII’s constitutional charter as being too liberal in character. Still, he was regarded by the moderates as being the least unreasonable of his party, and by the ultra-royalists as the most capable of their leaders. He became skilled at assembling coalitions of the two groups. 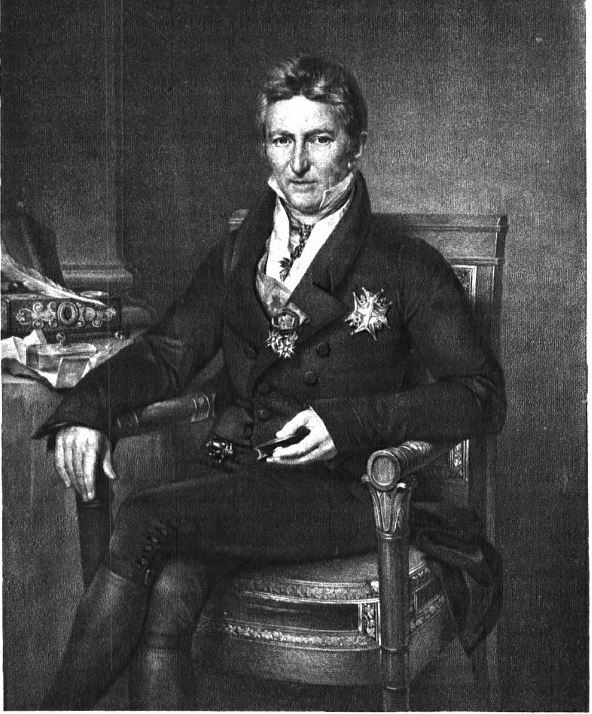 As president of the Chamber of Deputies in 1820, Villèle served briefly as a minister without portfolio in the moderate ministry of the Duke of Richelieu. In 1821, the ultras gained the upper hand in the Chamber and compelled Louis XVIII to ditch Richelieu. Villèle, who was then minister of finance, became the real head of the new cabinet. In 1822, the king gave him the title of count and formally made him prime minister of France. This is the role in which Villèle appears in Napoleon in America. Despite his association with the ultra-royalists, Villèle was on some issues more closely aligned with Louis XVIII than with the Count of Artois, including France’s 1823 invasion of Spain. When Artois became King Charles X upon Louis XVIII’s death, he retained Villèle as Prime Minister. The American writer James Fenimore Cooper met Villèle and his wife at a dinner in Paris in 1826. Villèle focused on improving France’s financial situation, exercising prudence abroad, and maintaining royal authority over the legislature – no small task given that the Chambers teemed with factions. His most successful efforts were on the financial side. Villèle came to power during a relative depression, with declining prices, diminished trade and increased unemployment. He tailored his budgets accordingly and put France onto a stable financial footing. Under pressure from the right, Villèle also promulgated laws that punished blasphemy, placed education under the control of the church, indemnified former émigrés, and restrained the press. These measures met with strong opposition and his supporters fared badly in the 1827 legislative election. Effective January 4, 1828, Villèle resigned to make way for a more moderate ministry. Joseph de Villèle retired to his chateau at Mourvilles, where he devoted himself to writing his memoirs. He died on March 13, 1854, at the age of 80. He was buried in the chapel of his chateau. At the time of his death, Villèle had advanced as far as 1816 in his memoirs. With the help of his correspondence, the tome was completed by his family and published in five volumes between 1887 and 1890 as Mémoires et correspondance du comte de Villèle. Étienne-Denis Pasquier, Mémoires du Chancelier Pasquier, Part II, Vol. 5 (Paris, 1894), p. 278. Joseph de Villèle, Mémoires et correspondance du comte de Villèle, Vol. 1 (Paris, 1888), p. 117. Rose de Freycinet, Charles Duplomb, ed., Journal de Madame Rose de Saulces de Freycinet, d’après le manuscript original accompagné de notes (Paris, 1927), pp. 49-50. Mémoires et correspondance du comte de Villèle, Vol. 1, pp. 177-178. The Portfolio of Entertaining and Instructive Varieties in History, Science, Literature, the Fine Arts, &c., Vol. 6, No. 154 (December 31, 1825), p 158. Blackwood’s Edinburgh Magazine, Vol. 44, No. 273 (July 1838), p. 47. James Fenimore Cooper, Recollections of Europe, Vol. 1 (London, 1847), pp. 207-208. Mémoires du Chancelier Pasquier, p. 278. I did not at first perceive the great man, who followed so close to his wife’s skirts as to be nearly hid. But he was soon flying about the room at large and betrayed himself immediately to be a fidget.